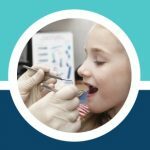 If I Need Braces, or Any Form of Restorative or Orthodontic Care, Will it Be Paid For? Because there are different classes for each eligibility, it can be difficult to figure out exactly which benefit you qualify for. Following the bullet points below, find which description that relates personally to you and inquire further with the party responsible for the providing of your care to know exactly what you are qualified and eligible for. 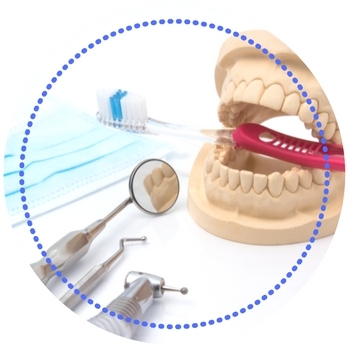 •	Class I – You are eligible for any needed dental care through this class is you have a condition or dental disability that is compensated through a connected service. •	Class IIC – You are eligible for any needed dental care if you are a prior prisoner of war. 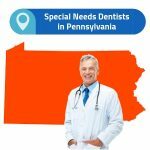 •	Class IV – You are eligible for any needed dental care if you have disabilities that are rated 100% on the disabling scale that were acquired through service, or if you are unemployed strictly and unpaid because of said disability. However, veterans who are paid through extended hospitalization, pre-stabilization, or convalescence are not eligible for any comprehensive outpatient services for dental. •	Class II – You are eligible for one-time dental care should your DD214 certificate of discharge has not indicated that a full dental examination and appropriate treatment was rendered before your discharge. However, you can apply for such care within 180 days of being released or discharged, as long as you were not dishonorably discharged, within a period of at least 90 active days or more during the era of the Persian Gulf War. •	Class IIA – You are eligible for any needed dental care if you can provide and maintain a dentition that is fully maintained, such as a Dental Trauma Rating 10-564-D, or a letter, the VA Form 10-7131, from the VA Regional Office Rating Decision to identify the dental care that is needed. However, you must have a noncompensable dental condition or resulting disability from your time is service to do so. •	Class III – You are eligible for any needed dental care to treat oral conditions determined to have a material or direct detrimental effect on your service through a connected medical condition by a VA dental professional. Clears you of achieving the goals you have made and accomplished within your vocational rehabilitation program. Prevents any interruption through the course of your vocational rehabilitation program. Makes your entrance into a vocational rehabilitation program possible. Secures and adjusts employment during your employment assistance period, or assists you in enabling your achievements through maximum independence within daily life. Aids in hastening the return to a vocational rehabilitation program through a veteran being placed within a discontinued status as a result of an illness, dental condition, or injury. Aids in hastening the return to a vocational rehabilitation program in an interruption or leave status comes up. •	Class VI – You are eligible for any needed dental care to treat any oral condition that has been deemed to complicated your current medical condition or treatment by a VA dental professional, but only if you are scheduled for or are currently receiving inpatient care. •	Class IIB – You are eligible for a one-time course for care if it has been deemed medically necessary for the purpose of relieving pain, treating moderate, complicated, or severe periodontal or gingival conditions, or if it is to assist you in gaining employment. However, you must be an enrolled homeless or care-receiving veteran under VHA Directive 2007-039 for such. 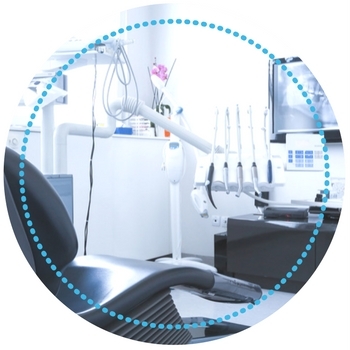 As of June 16th, 1995, when the Public Law 83 was enacted, all outpatient dental services were amended. 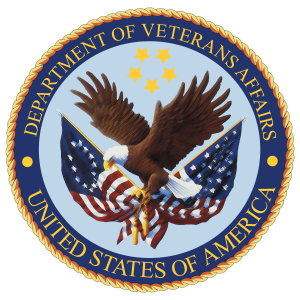 Since then, any veteran who has been given an award letter from the VBA that was dated before this enactment took place, all dental conditions deemed non compensable by the VBA are no longer eligible in the case of outpatient dental treatment for Class II. Further, the Inpatient Dental Program for veterans currently receiving domiciliary, nursing home, or hospital care are provided dental services which are determined by a VA professional dentist with consultation through the referral of a physician. All are essential to the full management in regard to the patient’s overall medical condition while under an active treatment. For additional information concerning the eligibility for VA dental and medical benefits, you can call 1-877-222-8387, or visit the health benefits website by clicking here. If you are not eligible for any of the stated VA dental care, you are able to visit the national VA Dental Insurance Program for enrolled CHAMPVA beneficiaries and veterans in order to have the opportunity for the purchase of reduced dental insurance. The VADIP allows CHAMPVA beneficiaries and enrolled veterans the opportunity to have dental insurance at a reduced cost, being MetLife and Delta Dental. All with purchased insurance must keep in mind that doing so will not affect your eligibility for a VA dental service or treatment, and participation is solely voluntary. 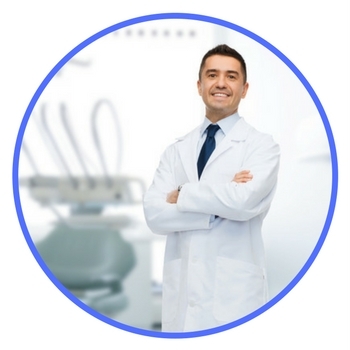 Endodontics, restorative, preventative, emergency and surgical treatments are all covered under the insurance, with both MetLife and Delta Dental offering different plans. Participants will be expected to pay a monthly premium, fixed only, for their coverage and any existing co-payments that may be required, depending on the selected plan, however. The dependents of veterans, excluding those who are eligible under CHAMPVA, are not authorized for participation within VADIP. However, they may be eligible for a separate insurance for dental coverage through MetLife or Delta Dental. To locate the closest dental clinic to you, you will need to go through the VA Dentistry website. The VA has provided clinics for veterans throughout the country, with 200 locations available, which include both Puerto Rico and Alaska, as well. You will be able to find the closest clinic to your location by clicking here and following the instructions listed by the VA. The dental benefits provided by the VA are extensive and may be limited in certain cases for treatment needed. While they are authorized in the providing of extensive dental care, eligibility is recorded and must be taken into consideration when veterans are looking at the options available to them. This program is run through the eligibility of veterans who require outpatient dental care. This type of care is not the same in the case of the majority of other benefits and programs that are categorized and provided through the VA. Below you will find the different classifications and eligibility for the outpatient dental program. While the following classes, qualifications, and overall eligibility are repeated from the above, the information listed goes toward both programs and must be taken into careful consideration. Yes, and no. For all active and retired veteran service members enrolled the determination of whether or not any dental work required, not just basic cleanings, is determined by a VA professional dentist under any and all circumstances. As previously stated, it all depends on what you qualify for, the classification you are eligible for, and what the VA has concluded after an examination. 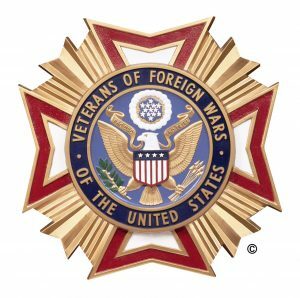 The VFW is a non-profit organization aimed to aid veterans with their health, transition back to daily life, and all that applies to veterans and their sacrifices. They have selected MetLife as their dental sponsorship for insurance in order to provide the proper dental care needed to veterans. The Preferred Dentist Program from MetLife is through the Preferred Provider Organization program that is available for veteran VFW members, and is a great option for veterans who are looking for added coverage and proper access to dental care. With the MetLife PDP, veterans gain access to over 170,000 dental locations that consist of both regular and specialty dentists. With this coverage, veterans are able to lower the costs that they are paying out of their own pockets for in-network services, which include plans that are either a fixed or negotiated fee. 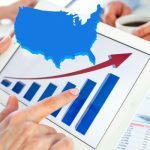 They can range typically between 15 to 45 percent of a discount. With the PDP coverage, you can visit any dentist of your choosing, even if they are not within the VFW network. To learn more about the VFW and the types of insurance, coverage, and everything else that they offer to all veterans, you can visit their website by clicking here. There are multiple routes retired veterans can take when looking for the proper dental care they need. Veterans have more options than ever in today’s society, both through the VA and other avenues set up by civilians to do their part for those protecting their country and constitution. The TRDP is one of the most well-known programs that are available for veterans in regard to dental care and was set forth by the federal government during establishment. The eligibility for the program is verified through the Defense Enrollment Eligibility Reporting System and can be quite extensive. A member, regardless of age, of the National Guard/Reserves who has been transferred to the status of Retired Reserve, which includes those under 60-years-old in the “gray area” and are entitled to, but not receiving, retired pay. A member of the Uniformed Services who has been entitled to retirement pay and includes those who are at least 65-years-old and older. A current spouse of a retired, enrolled member. A survivor spouse who is unmarried, or an eligible child of a member who is deceased as a result of active duty for at least 30 days, and eligible family members who may not be eligible. 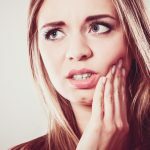 As well, those who are no longer eligible for the dental benefits that are offered under the family’s active duty member dental plan, being the TRICARE Dental Program. – Coverage up to the end of the month in which they have turned 21-years-old. – Up to the age of 23-years-old, but only if they are currently enrolled and involved with a full-time course for study that is within a higher learning, which will take proof of status, or approved institution. – Older than 23-years-old if they have a disabling injury or illness which occurred before they turned 21-years-old, or if it occurred between the ages of 21 to 23 while they were enrolled in study at an institution that has been approved for higher learning. A Medal of Honor recipient and his or her eligible family members, but only immediate. This also includes a surviving spouse who is not remarried, as well. For more information on the TRDP, your possible eligibility, and any other required information, visit their website by clicking here. As stated previously, visiting TRICARE’s website that is linked above will ensure that you receive all of the necessary information that you will need. You may be searching “dental doctors near me” in Google and feeling down on your luck with unsuccessful results. If you are unable to receive some form of care through the VA, fear not, there are other avenues to take and options available to you. 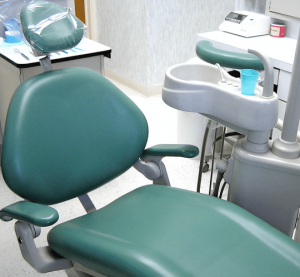 Because the VA has strict eligibility policies and requirements, various dentists across the United States have teamed up to offer free or highly discounted services for veterans in desperate need of dental care. Aspen Dental has over 500 offices across the nation, dispenses a mobile unit that travels the country, and offers specific services to veterans has given veterans that have been constantly turned down by the VA a new strain of hope. They have great availability with their dental offices open weekends as well. In 2015, Aspen Dental teamed up with Got Your 6, a non-profit organization that helps and supports veterans, to aid in further mobilization of dentists across the nation. In total, over 4,000 veterans have been helped in their search for proper dental care, with approximately $2.8 million being donated in the process. To learn more about the free services offered to veterans by Aspen Dental, visit their website by clicking here. To learn more about Got Your 6, how they help veterans, and for more information on their partnership with Aspen Dental, click here and if you’re looking for information on urgent care dental, click the link! Listed below are the most frequently asked questions regarding veterans and the dental care that they are eligible for. Your enrollment is verified once you have received a Veterans Health Benefits Handbook from the VA, which is given to notify you of the full status of your current enrollment. 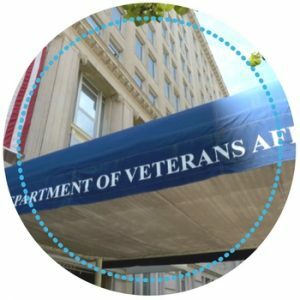 Once I am enrolled, can I use the VA as my health provider? VA is not required to become your full health care provider. Therefore, if you are receiving care from a local provider through the VA, your safety and care have been coordinated to ensure that a treatment, co-managed care, has been specified and created on your behalf. I am moving and need to transfer my care to a new facility, how do I do it? Transferring your VA health care from a facility requires you contacting your PACT to workout assistance through the Traveling Veteran Coordinator to fully establish an appointment with the new facility that will handle your care. If you are for any reason unable to pay your bill once you have received it, speak with the Patient Billing Office located at the VA health care facility where you are currently receiving your care. For more frequently asked questions, you can visit the VA’s website by clicking here, or by calling 1-877-222-8387 between the hours of 8 a.m and 8 p.m, Monday through Friday. Dental care and overall proper oral hygiene are two things that veterans desperately need, whether it be through the Department of Veteran Affairs or a dentistry that offers free care for those who need it. As a veteran, knowing all of the options that are currently available to you will ensure that you will get the help that you need, exactly when you need it. Thank you for your continued service to the great nation of the United States of America, and for the sacrifices that you have made throughout your service. Additional thanks to Emergency Dentists USA.